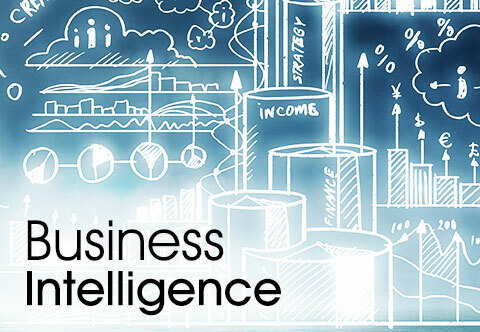 Business Intelligence (BI) is a critical success factor in today’s economic turmoil. Data Discovery is an entry point to all Business Intelligence Projects where IT-Blocks teams analyze data, discover primary and foreign keys (both defined and implied), analyze relationships across tables; and document results through a set of reports. Agreeing on the business and technical definitions for data sources, IT-Blocks build the Metadata layer for each Database, which will be responsible for handling metadata definitions. IT-Blocks creates and completes the business glossary with the business terms and rules set up by Customer team. IT-Blocks teams map the business requirements to the available data sources and agree on which data sources to use, check if data exist or missing and check the quality of data. IT-Blocks team generates a data quality management framework which defines how to cleanse existing data problems and how to prevent databases from future expected problems in addition to the integration between the data quality framework and Customer defined data cleansing business rules. IT-Blocks teams are keen on using IBM InfoSphere Information Server family of products that enable data cleansing, monitoring, delivering and data transform especially that InfoSphere Information Server provides massively parallel processing (MPP) capabilities to deliver a highly scalable and flexible integration platform that handles a variety of data volumes. While InfoSphere Optim handles the data lifecycle management. IT-Blocks consultants design and build data population plan including ETL jobs. They set the integration of all data sources and data population plan in the DW model. They design and build jobs required to do the data integration between all required data sources and the DW either real time mode or batch mode, the jobs responsible for data population for the DW model and those responsible for data population from the DW model to the Data marts. IT-Blocks teams design both the DW model and the architecture of the DW and how it is linked by the source data systems. They build one unified DW data model that fulfills the business requirements based on the GAP analysis, identifying the source data systems included in the project and designing detailed diagrams for the DW Architecture and its integration with data sources. IT-Blocks teams implement the DW architecture model on the DW server after it has been verified by the user and implement the associated Data Marts. They create a new database for the model on the DW engine, deploy the model on the DW database and create the associate Data Marts. IT-Blocks teams implement population plans by running the ETL jobs to load the DW from all data sources and the Data Marts from the loaded DW. Based on OLAP requirements and industry performance indicators, IT-Blocks teams define required data marts and design multidimensional data models including measures and dimensions of each model to implement them by the front end analytical applications. Consultants of IT-Blocks develop analytical front-end applications to process standard industry key performance indicators in addition to specific indicators required by each customer by using leading software platforms such as IBM Business Analytics products; IBM Cognos. Based on IT-Blocks DW models in the Higher Education and Family Health industries, IT-Blocks have developed a standard set of industry-specific key performance indicators to be used readily by those industries. Using best of breed data mining tools from world class partners such as IBM; SPSS Statistics and IBM SPSS Enterprise, IT-Blocks experts, provide data mining services to customers to discover hidden relations and patterns inside DWs. In today’s era of big data, technology is allowing us to consume more data and generate new insights for competitive advantage. IT-Blocks big data and analytics services make use of such up-to-date technology to provide its customers with an outstanding performance. IT-Blocks technology consultants guarantee the highest performance and ultimate results by using IBM Information Management software products such as PureData System for Analytics (IBM Netezza), IBM BigInsights and InfoSphere Optim.